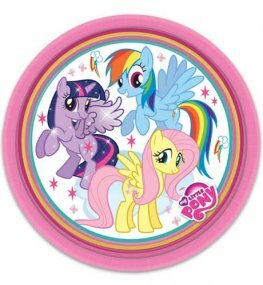 My Little Pony Wholesale Themed Party Tableware And Balloons Including My Little Pony Dinner Plates, Cups And Party Bags. 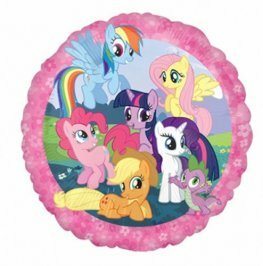 My Little Pony Party Paper Plates. These Wholesale Licensed Paper Plates Are 23cm Each With 8 Plates Per Pack. 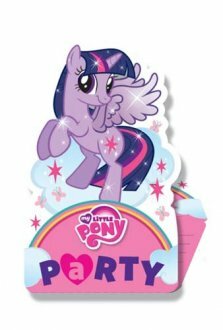 My Little Pony Party Paper Cups. These Wholesale Licensed Paper Cups Hold 266ml Each With 8 Cups Per Pack. 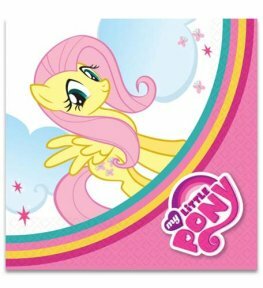 My Little Pony Party Luncheon Napkins. These Wholesale Licensed Lunch Napkins Are 33cm x 33cm Each With 20 Napkins Per Pack. 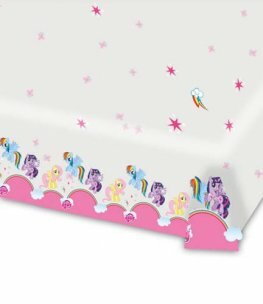 My Little Pony Party Plastic Table Cover. This Wholesale Licensed Plastic Tablecover Is 1.2m x 1.8m With 1 Table Cover Per Pack. 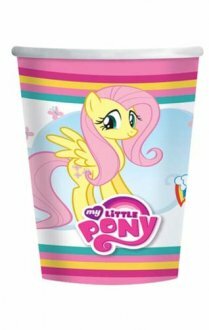 My Little Pony Party Plastic Loot Bags. 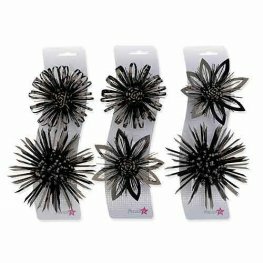 These Wholesale Licensed Party Bags Are 16.5cm x 24cm Each With 8 Lootbags Per Pack. 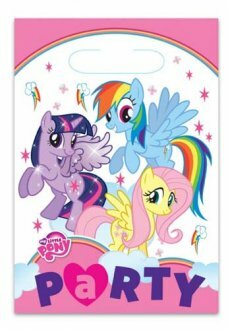 My Little Pony Party Invitations And Envelopes. 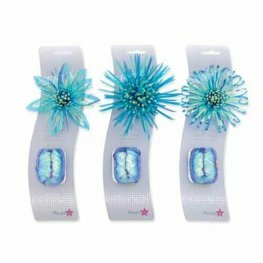 These Wholesale Licensed Invites Are 8cm x 13.5cm Each With 8 Invites And Envelopes Per Pack. 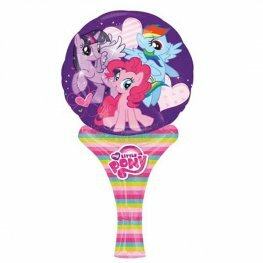 Anagram My Little Pony 18 inch non message helium foil balloon. 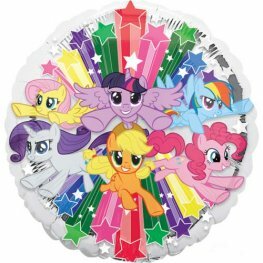 Anagram My Little Pony 18 Inch Wholesale Helium Foil Balloon. 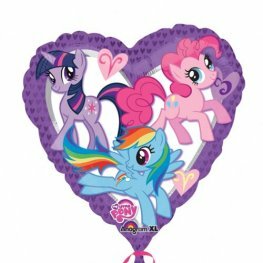 Anagram My Little Pony Gang 18 Inch Wholesale Helium Foil Balloon. 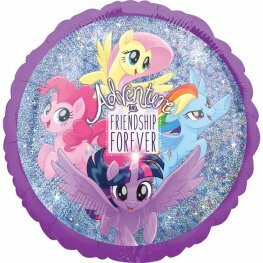 My Little Pony Friendship Adventure Holographic 18 Inch Wholesale Helium Foil Balloon. 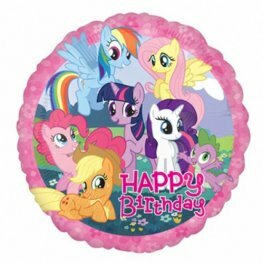 Anagram My Little Pony Happy Birthday 18 inch helium foil balloon.